The Hester Street Market opened their season to huge crowds on Saturday and the food stalls seemed to be the biggest draw. There were plenty of all-new savory and sweet vendors in attendance so I brought a civilian accomplice in order try as much as possible. Here are a few of the vendors I visited. Question: How do you differentiate yourself at a crowded street fair among lots of other ambitious and creative sweet vendors? Answer: Use live blow torches in front of the crowds! 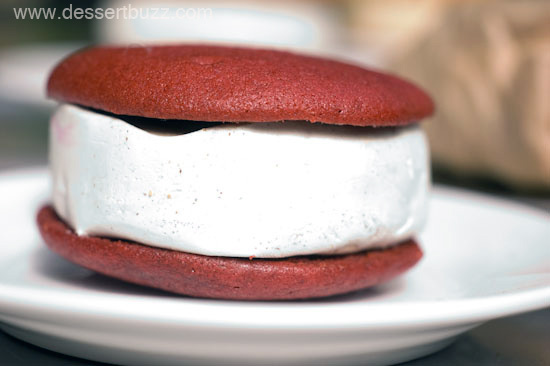 And sell a made-to-order comfort dessert that almost everyone is familiar with. 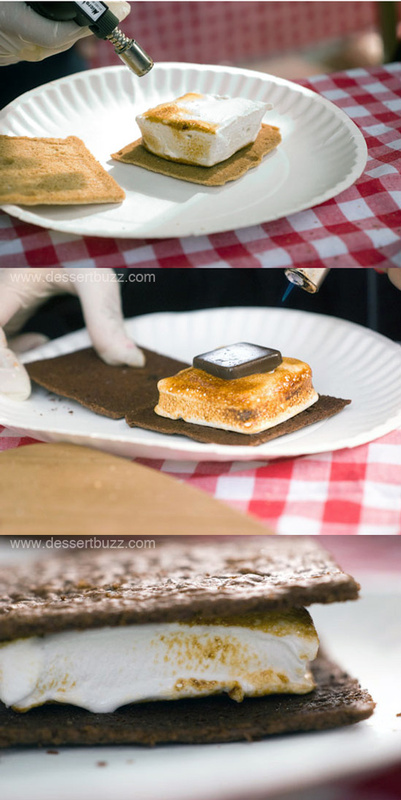 S’amore (new to Hester Street Fair this year) sells s’mores. 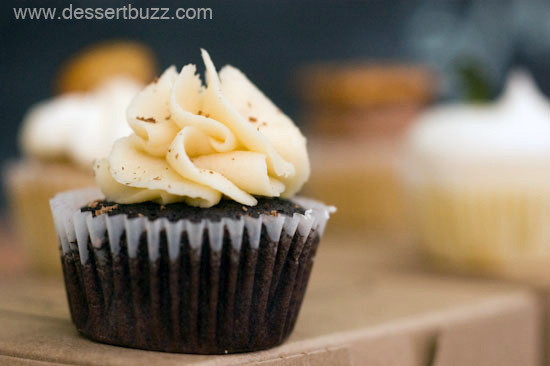 They offer a number of different flavors and styles–all made-to-order. We tried the “Tom”. 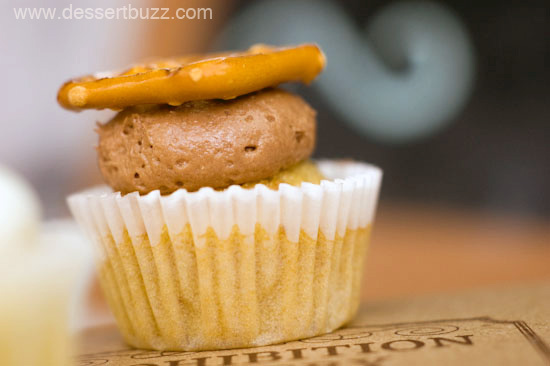 It features salted graham cracker, almond marshmallow and dark chocolate. S’amore could have offered plain s’mores without any special flavor combinations and they probably still would have been popular. However, they really elevated the standard s’more with their special flavors. In particular, I was impressed with how good the flavored marshmallows and grahams were. One of the better values of the fair at $3.50 each. S’Amore’s website is here. 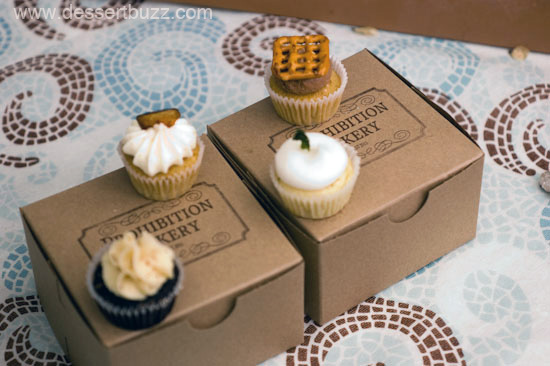 Prohibition Bakery figured out a way to enter NYC’s already crowded artisanal cupcake market–make really good cupcakes and put alcohol in them! Every flavor is a take on a well-know mixed drink or alcoholic beverage. I was able to try all four of the flavors they brought to the fair–my favorite was the beer and pretzel although I also really liked the Irish Car bomb. 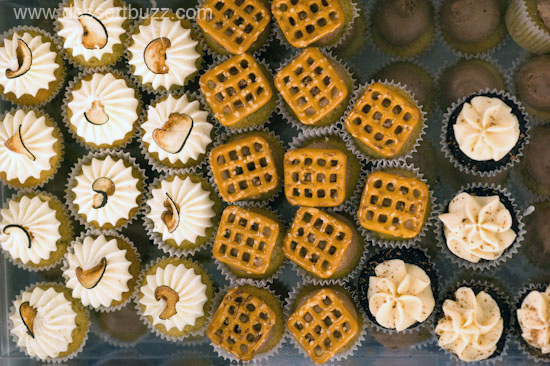 Like S’more, Prohibition Bakery didn’t just try and ride their idea as a selling-gimmick. Clearly, their took the quality of their cupcakes seriously. All four that I tried were moist, not overly sweet and tasted like the drink they were modeled after. Highly recommended. $2.00 each or three for $5.00. 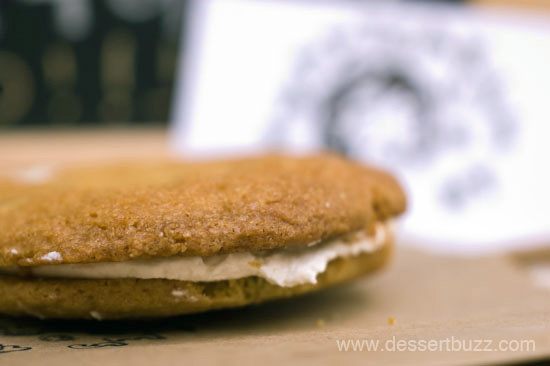 The Prohibition Bakery website is here. Artists are know to improve over the course of their careers even if they start out at a “prodigy” level. I assume the same is true for bakers or pastry chefs. I have always liked Macaron Parlour Macarons–but I felt like the macarons I had on Saturday were even more refined than usual. The texture of their shells and the freshness was as good as any macarons I’ve had in NYC this year. I tried a new flavor on Saturday: lemon basil. It was much less sweet than your standard macaron. They offer a huge variety of flavors so I recommend trying a few. $2.50 Each. 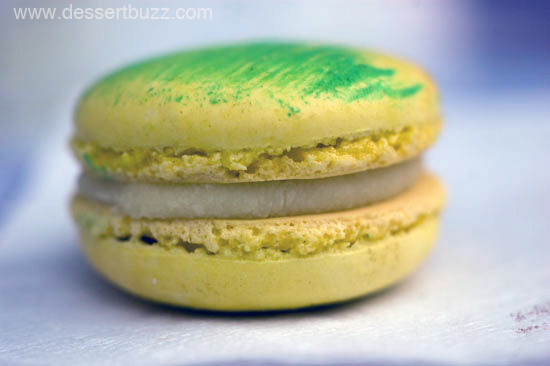 Visit the Macaron Parlour website here. Look for their bricks and mortar store opening on St. Mark’s Place this summer. The FattyCakes website is here. One of the biggest crowds at the fair was in front of Melt Bakery’s booth. They were selling 4 different flavors of their specialty ice cream sandwiches and it looked like about half the attendees were walking around the fair while eating one. Could 1000 New Yorkers be wrong? No. $5.00 each. Serious Easts has a great feature on Melt and their founder here. The Melt Website is here. The Hester Street fair takes place on Saturdays. For more info on the Hester Street Fair visit their website or their Facebook page.